Happy Irish Coffee Day everyone! 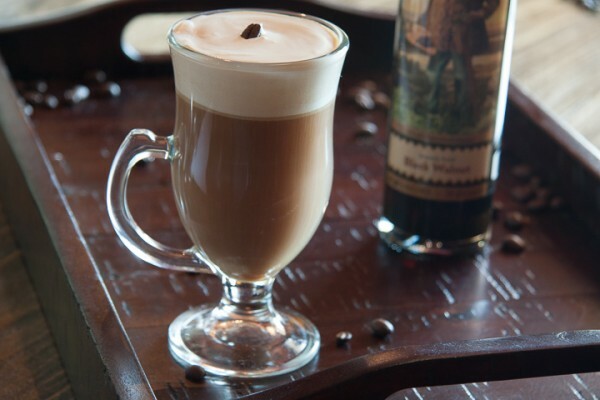 If you love a nice hot cup of joe mixed with your favorite Irish whiskey and some Irish cream liqueur, you're doing it wrong! 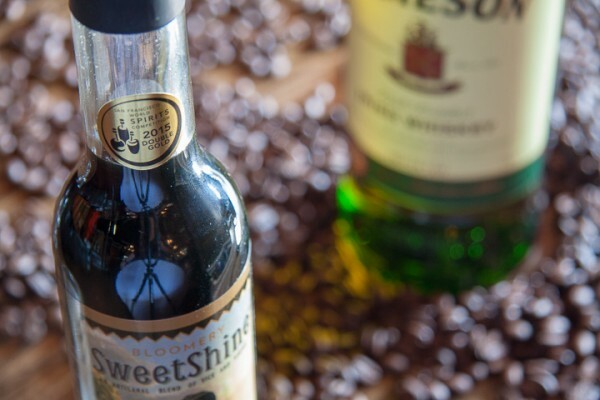 We're not saying that combination isn't delicious, but we're here to teach you how to make a proper Irish coffee (with a SweetShine twist, of course!). Anatomy of a proper Irish coffee— Irish whiskey, black coffee, and freshly whipped heavy cream on top. That's it! We've mostly followed this classic recipe, but our whipped cream is infused with Black Walnut SweetShine. YUM! Wait a minute. 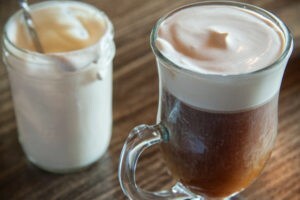 Why is it called "Black" Irish Coffee if it contains cream? We're glad you asked! 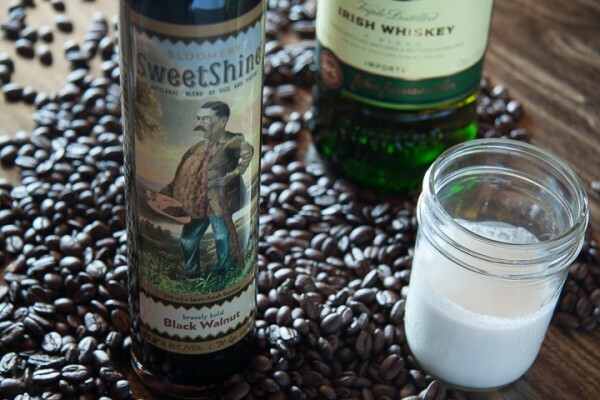 This recipe features Black Walnut SweetShine (which won a double gold medal at San Francisco World Spirits competition, by the way! 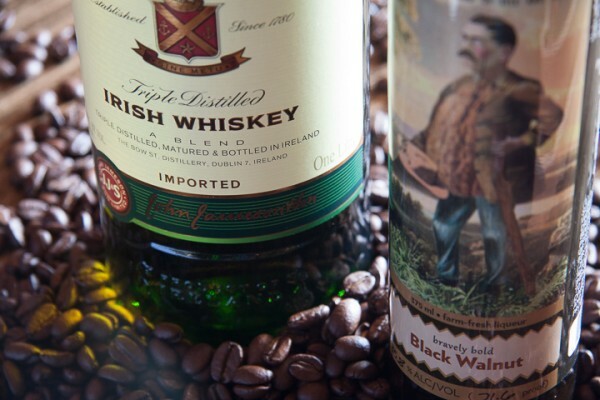 It just makes sense to use a gold winner in an Irish cocktail. Watch out for the leprechauns, though! 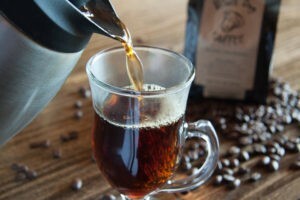 ), and we prefer to use freshly roasted coffee from local Black Dog Coffee Company. 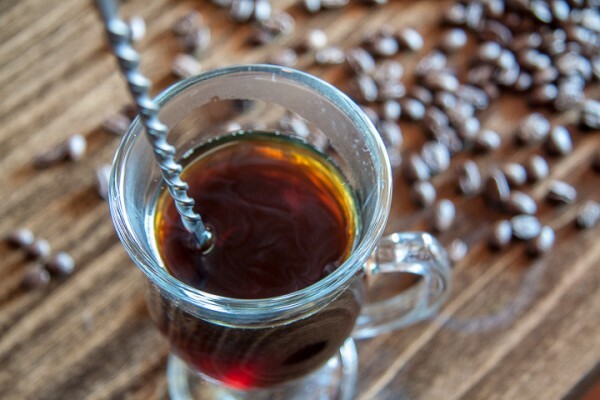 Our mixologists' personal favorite roast is the Costa Rica Tarrazu, a light/medium roast that yields notes of creamy caramel and citrus with just a hint of floral flavor. Here's a little serving tip. 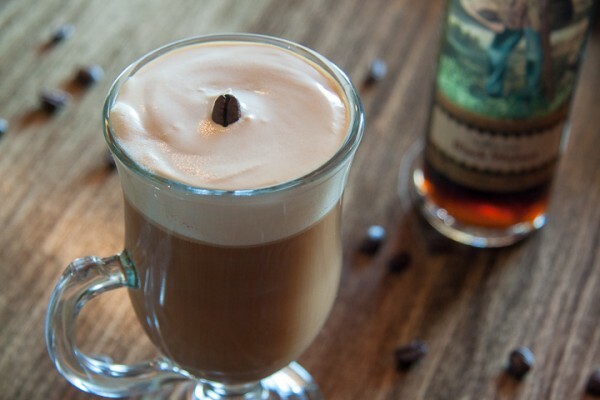 Preheat your coffee mug before building your cocktail. If you pour hot coffee into a cold mug your hot drink will only be warm at best by the time you drink it. Just fill your mug with hot water, wait until the mug is hot to the touch, then discard the hot water and quickly build your cocktail before the mug cools. Easy! 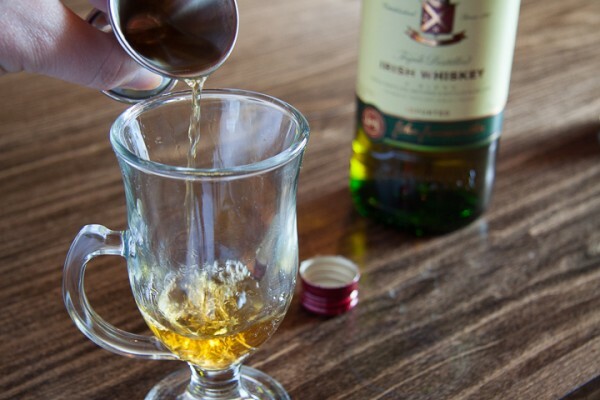 In your preheated mug, pour 1 oz Irish whiskey. Top with your desired amount of hot coffee. 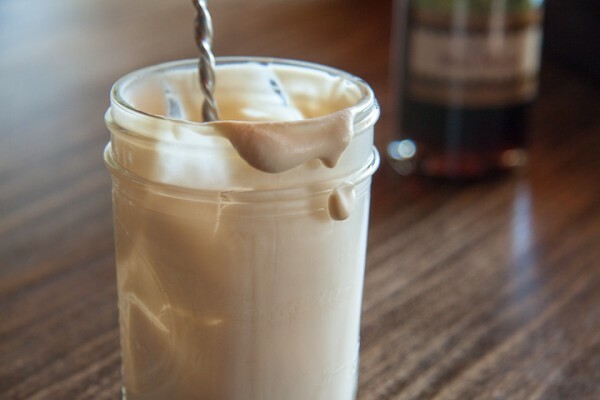 Pour 2 oz heavy cream and 1 oz Black Walnut SweetShine into a shaker with a lid (we used a small mason jar), and shake vigorously until the cream thickens. 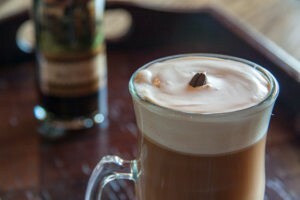 You'll know it's ready when it looks like this. 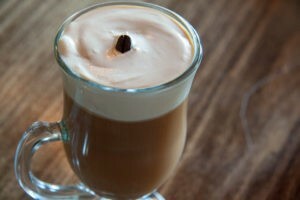 Now for the most crucial step— layering the cream. 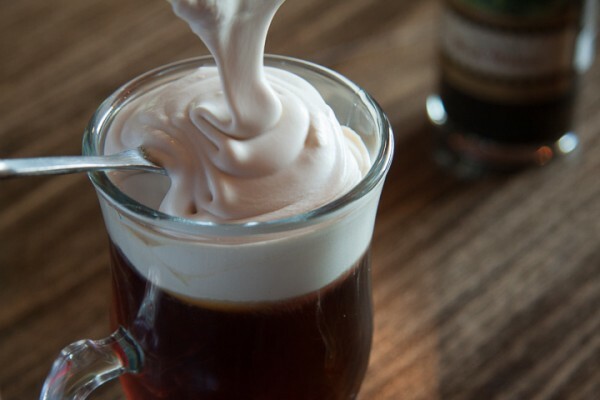 You want to hold the bowl of a spoon on top of the surface of the coffee then pour the cream directly into the spoon to allow the cream to gently float on top. If you don't layer it with a spoon the cream will instantly mix into the drink, and you won't achieve the iconic presentation of a proper Irish Coffee. A single coffee bean on top makes a fun garnish if you have them on hand, or you could sprinkle some cocoa or cinnamon instead. 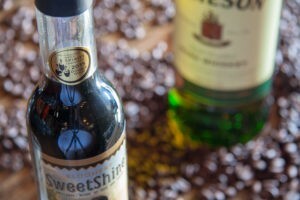 If you find the drink is not quite sweet enough for your taste just add a little sugar, or better yet SweetShine! 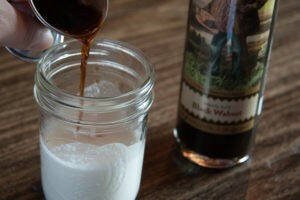 This recipe tastes great with an extra 1/2-1 oz of Black Walnut SweetShine or even Chocolate Raspberry SweetShine. Just have fun and make it your own! 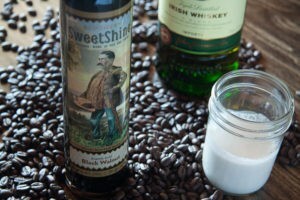 We give you Black Irish Coffee with Black Walnut SweetShine. A True St. Patty's Day Crawl In Los Angeles - "The Hollywood Crawl of Fame"